QNUPS: the Secret to Escaping Inheritance Tax ? Many UK expatriates do not realise that they remain UK-domiciled, and therefore subject to UK Inheritance Tax (IHT) on their worldwide estate at a rate of 40 per cent after allowances. This can come as a major shock to a family after the death of the breadwinner. What can be done about this? There are several options. Long-term expatriates may have the chance to establish a foreign domicile, which means they will lose their liability to IHT entirely. (I will write more about this and the recent changes to the procedures for establishing a foreign domicile, in a later article). Transfers of wealth on death between husband and wife are also exempt from IHT, but only if the spouse is also domiciled in the UK (or both are non-domiciled). This catches out many expatriates who have married a foreign passport holder who is likely to be domiciled elsewhere. 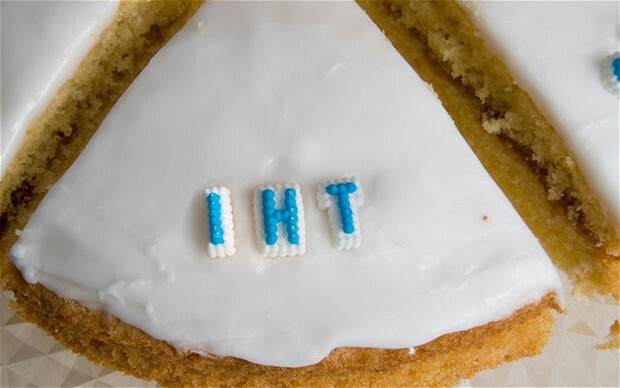 Even then the IHT is only delayed rather than avoided, because on the death of the survivor the tax will be payable on the passing of the family assets to the next generation. IHT is also avoided on any assets given away at least seven years before death. This is rarely an attractive option, as any attempt to continue to enjoy the assets will normally result in the Reservation of Benefit rules applying and the tax being charged on the donor’s death. Add to this the fact that persons rarely know when they are going to die, and will rarely be content to rely on their relatives to maintain them, and this is generally a non-starter. It is possible to transfer assets to a Family Investment Company and give away the capital value whilst retaining control and the income. But a final option, and one which is finding increasing favour, is the qualifying non-UK pension scheme (QNUPS). QNUPS have not yet been widely used because the legislation enabling such schemes was only recently made effective. This legislation, which also created the better known QROPS, was passed in 2004 in response to the EU pensions directive in 2003, which was designed to further the EU principle of free movement of capital. The legislation became effective in 2006, but QNUPS could not be used until HMRC passed the accompanying regulations. They only got round to doing that in 2010. (As you might imagine, HMRC was not massively keen on allowing UK persons to create offshore pensions over which it has little or no control and no ability to tax). A QNUPS can invest in a wide range of assets, much greater than a normal UK pension. A QNUPS can invest in residential property and make loans to its members to purchase personal assets rather than having the constraints of trying to borrow from a bank. This can be very attractive as banks normally only lend if you can prove you don’t need the money and are even stricter in the current climate. A person with a UK pension can do neither, or at least not without a significant penalty charge. The biggest advantage however of QNUPS is that they are also exempt from UK IHT on the member’s death. The Coalition Government have recently abolished IHT for approved UK pension schemes. However, they have replaced this 40 per cent tax with a new special tax charge of 55 per cent, imposed before the benefits are paid out to the beneficiary. The charge applies irrespective of where the member was resident before death, and where the beneficiary receiving the benefit is resident. But a QNUPS fund is exempt from the new 55 per cent charge. The advantage of a normal UK-approved pension over a QNUPS is that contributions attract tax relief. Contributions to a QNUPS do not attract relief. But that relief is now capped at maximum of £55,000 per year, so all UK resident individuals should have both a QNUPS and a UK-approved pension. They should maximise their relief by transferring £55,000 of their income into an approved scheme (before tax has been suffered) and then transfer as much as they like of their taxed income into a QNUPS to obtain the long term advantages noted above. It is pointless putting this taxed income into a UK pension. There can be problems if the only reason for setting up a QNUPS is to avoid UK IHT. There is a danger that, where the member is in ill health and sets up the QNUPS with the sole objective of avoiding IHT, HMRC could seek to attack the arrangement. They would do this by trying to claim the pension was essentially a sham and was no different to a normal trust. This could lead to the member suffering a lifetime IHT charge on the transfer into the QNUPS, and a further charge on his death if he were to die within seven years. But there are so many other advantages in setting up a QNUPS that it should be easy to point to, and which have been well documented, these alternative and additional motives, and thereby rebut this suggestion if it were ever made. In order to be a QNUPS, the scheme must fulfil certain conditions. The scheme must have the same retirement age as applies in the UK; it must provide an income upon retirement; it must be open to the local population in the jurisdiction where it is established and recognised for tax purposes in that jurisdiction. The UK Government has shown that it is not beyond raiding UK pensions when it needs money to prop up its own finances. At the moment it needs money arguably more than at any time since the Second World War. This is not unique to the UK Government. Most of the EU governments are in the same boat. It would therefore seem eminently sensible to try and remove pension assets from the UK tax system and to get them outside the influence of the Government. There is no suggestion that these schemes are not going to be around for the long term, but why wait? This facility is available now and there is no guarantee that it will be available later. Anything which puts assets into a friendlier tax climate allows more flexibility in their administration and draws down and carries substantial IHT tax advantages would seem to be a very attractive proposition which everyone should grab with both hands. So to summarise: UK expatriates who have an existing UK pension should transfer it to a QROPS scheme as soon as possible. UK residents should continue to contribute to a UK pension up to £55,000 per year to take advantage of the tax relief on the contributions. Those who wish to contribute more than £55,000 should set up a QNUPS. UK expatriates who remain UK-domiciled should set up a QNUPS especially if they may return to the UK, as then they will not only get the UK IHT advantage, but the underlying income and capital gains will be exempt from UK tax. If a UK expatriate is not planning on returning to the UK then the family investment company may be the preferred option, as it is simpler and cheaper and more flexible. Every UK expatriate should do one or the other, as to do nothing will prove very, very expensive. This entry was posted in Expats, Pensions, Tax, Uncategorized and tagged Estate Planning, For Senoirs, QNUPS by Adrian Rowles. Bookmark the permalink.